Long live the charity shop. Once the dusty preserve of pensioners and students, the humble chazzer’s stock is rising as we all become more conscious of the ethical impact of our wardrobes. Sales are up, donations are rolling in and there’s never been a better time to snaffle a bargain. We’re not just talking Primark vests, dog-eared copies of ‘The Da Vinci Code’ and those leather coin belts from 2002, either. You might never beat the legend of the friend of a friend who found a Chanel handbag for 50p in a regional bargain bin, but it stands to reason that London, as one of the world’s most fashionable cities, is full of stylish (and meticulously steam-cleaned) cast-offs. 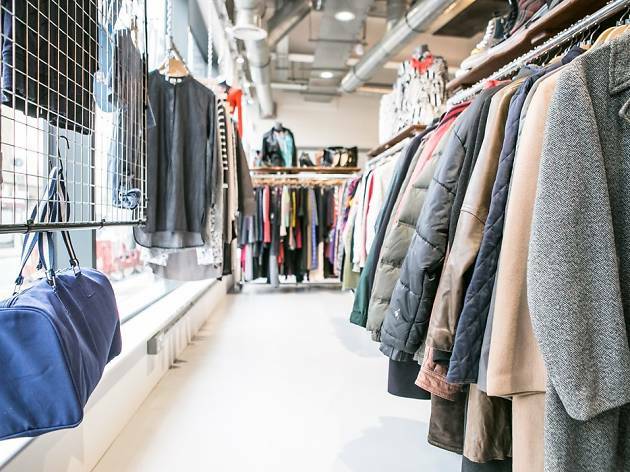 From charity ‘boutiques’ with more cashmere than your average yacht club to old-fashioned junk shops you can lose an afternoon in, here are the very best charity shops in the capital. Just don’t go telling everyone. Best for Last season’s Topshop and last century’s ceramics. So much more than a charity shop, this vast space at the Finsbury Park end of Stroud Green Road is also a coffee shop and community arts hub. But the clothes alone are enough of a draw. Luxe ladies’ labels hang alongside quality high-street and vintage bargains. There’s also a bountiful shoe section and equally trendy menswear. 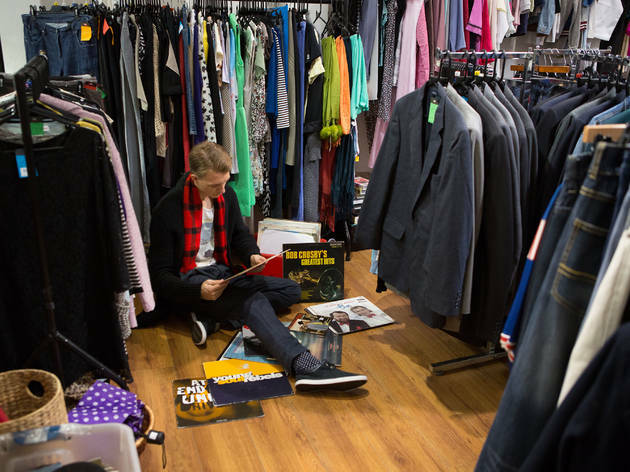 Stock moves fast – the regulars come in daily – and staff can usually be found shooing punters out the door at 7pm. Don’t leave without checking out the cabinet of designer accessories, the handmade furniture and the superlative vegan brownie in the café. Best for Serious bargains, minus the mustiness. 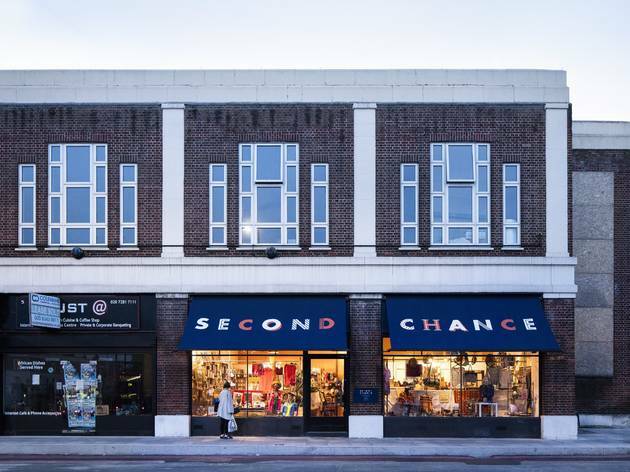 All fashion magpies know that bougie neighbourhoods are the best for secondhand bargains, and Balham is a case in point. 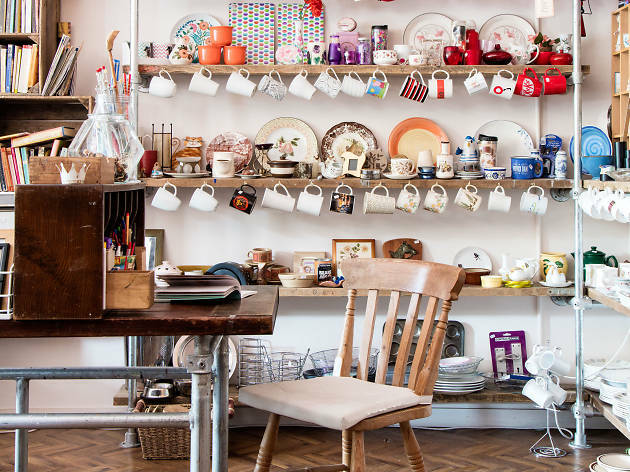 The whole High Road is worthy of a charity-shop crawl, but if you can only manage one, make a beeline for the bright lights of the British Heart Foundation. 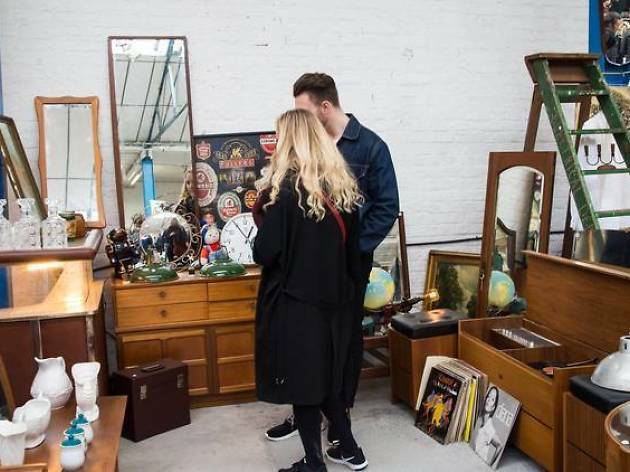 Go for the barely worn Cos, Jigsaw and Whistles; stay for the vinyl, quirky homewares and that thing you’re definitely probably going to upcycle next time you have a free weekend. Best for You want thingamabobs? They’ve got 20! In the days before Archway’s shiny pedestrian-friendly makeover, this temple of bric-à-brac was worth navigating your way like Frogger across the busy road. 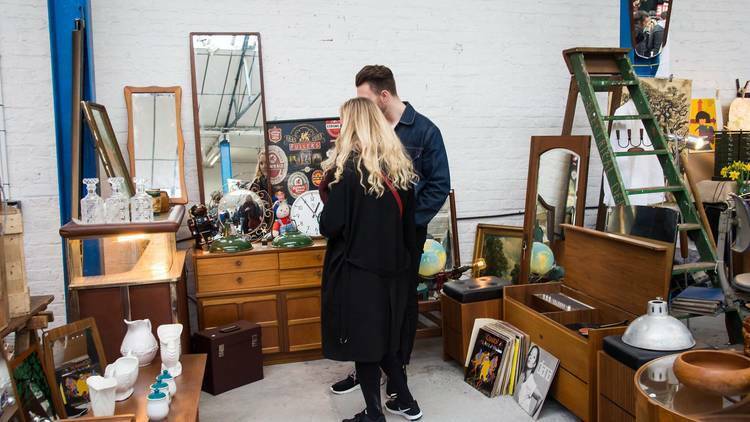 Behind the lavish window displays, vintage and high-street clothes nestle up against crockery, sheet music, records, books, old magazines, collectibles, curios and whosits and whatsits galore. 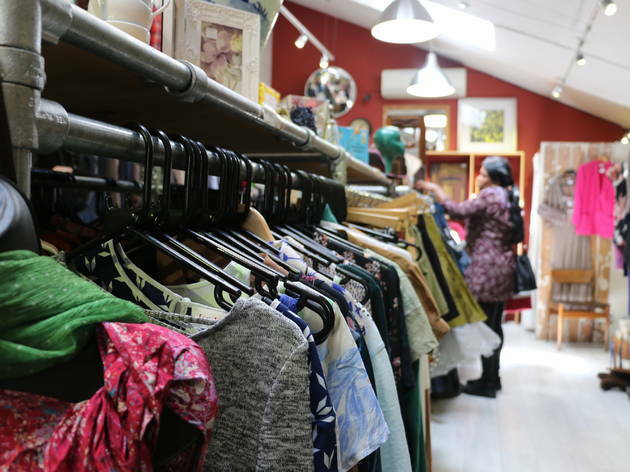 Run by Archway Methodist Church, the shop splits its profits between an equally eclectic set of charities. Best for A truly guilt-free spending spree. As the nearest charity shop to Vogue House, this bright and airy store just off Regent Street has been the recipient of more than a few fashion-editor spring cleans in its time. Prices aren’t cheap, even for last year’s Zara, but it’s a welcome refuge from the consumer mayhem of Oxford Circus. Look out for Savile Row tailoring, sunglasses Anna Wintour would approve of, and handbags that have never seen the floor of a night bus. Best for Swellegant occasionwear for all your ‘High Society’-meets-‘Abigail’s Party’ urges. 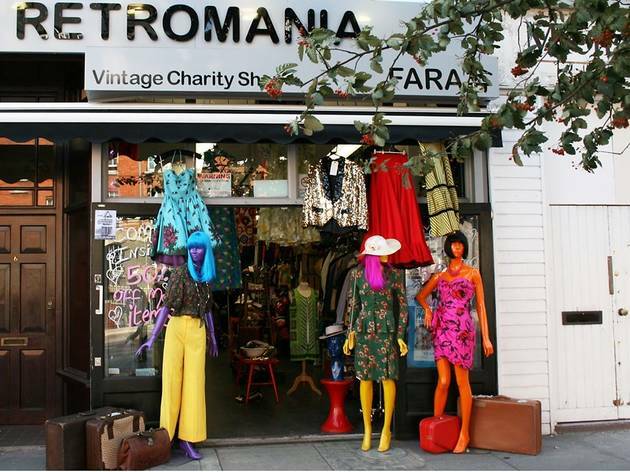 A charity shop disguised as a high-end vintage store, this Pimlico destination is brimming with Hermès scarves, YSL tailoring, psychedelic blouses and 1950s silk ballgowns – like a trunk of heirlooms from the duchess grandmother you never had. Everything is fairly priced, if not exactly cheap as chips. But with all proceeds going to help vulnerable children in Romania, where better to splurge on a piece of fashion history? Best for Designer jeans, lesser-seen labels and rubbernecking at celebrities. 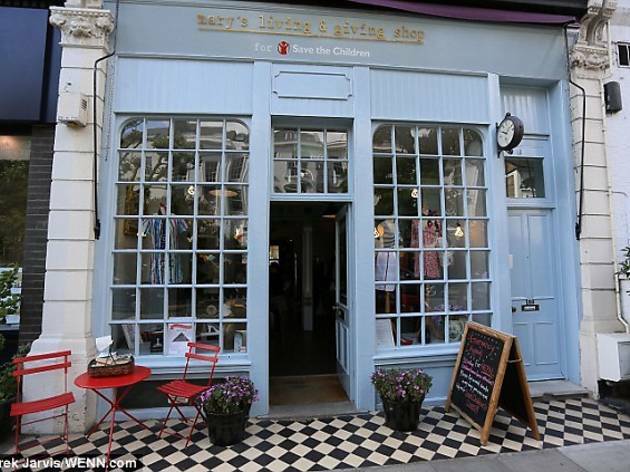 Breathing new life into the world of secondhand shopping, Mary Portas virtually invented the modern breed of upmarket charity boutique with her Living & Giving Shops. Diehard bargain hunters might not thank her for the price hikes, but Save the Children does. The many shops are all carefully curated, but the Primrose Hill branch is one of the best for niche brands and fashion kudos. Enjoy the Narnia-style wardrobe changing room, and cross your fingers for Victoria Beckham dropping by with a bulging bin bag (yes, she donates). Best for Christening gifts and babysitting emergencies. With babies growing out of clothes in less time than it takes to wrestle both legs in, buying secondhand makes complete sense. 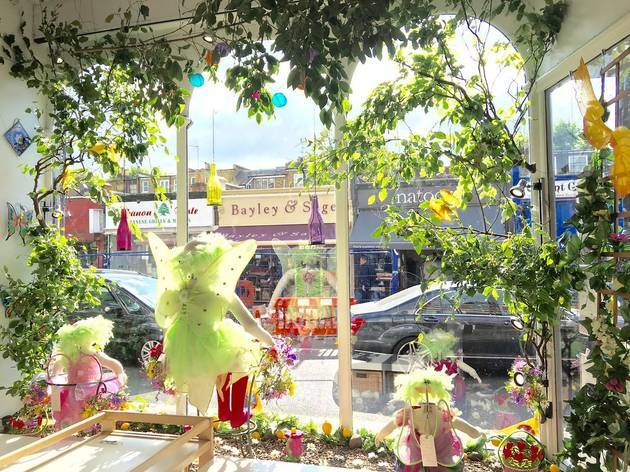 Chiswick’s Fara Kids is one of 14 London Fara shops selling nearly new clothes for tiny people, with proceeds going to help vulnerable children in Romania. 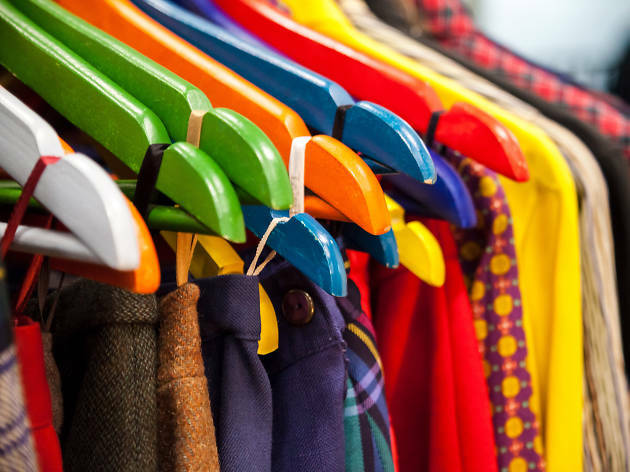 You’ll find racks of fancy little outfits, all without a trace of dribble and many for as little as 50p a pop. And when you get tired of cooing ‘I wish this was in my size!’, head for one of Fara’s excellent adult branches just up the road. Best for Cashmere, cocktail frocks and latent Carrie Bradshaw fantasies. In most charity shops a Lanvin dress or a pair of Manolos would be stop-the-press news. Not so on Marylebone High Street, where glitterati cast-offs come as standard. 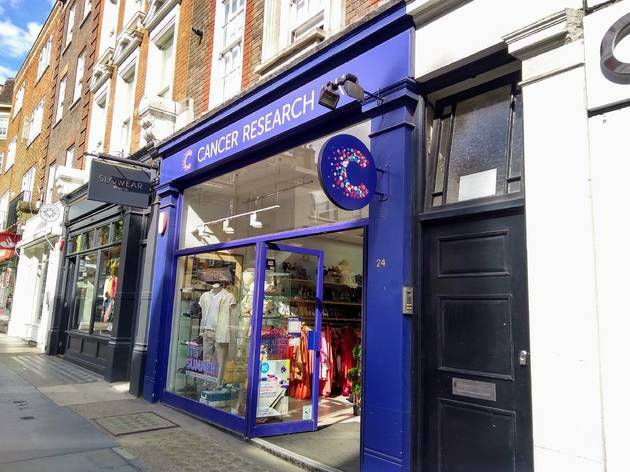 Every W1 chaz is worth a rummage, but the fragrant, colourful Cancer Research shop is one of the finest, full of fashion samples and end-of-line pieces with the tags still on. Kate Moss and Sienna Miller have both been known to donate here – and thankfully so have plenty of neighbours with more average proportions. Best for Nineties denim, ’80s dresses, ’70s jackets and millennial attitude. 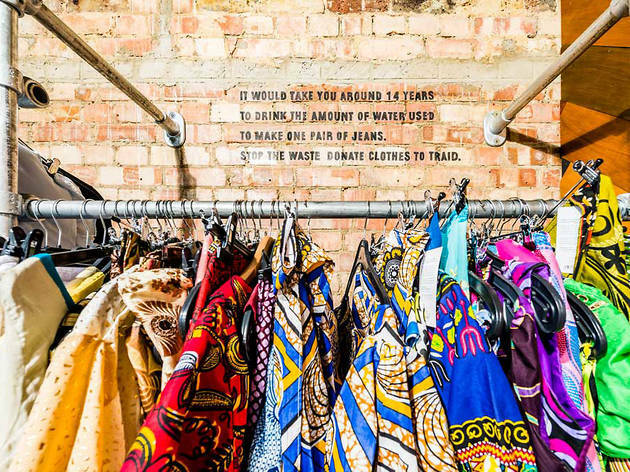 A charity shop so comprehensive you can virtually rock up with a shopping list, Traid focuses on ditching trends for conscious, sustainable secondhand clothing (the name stands for Textile Reuse And International Development). 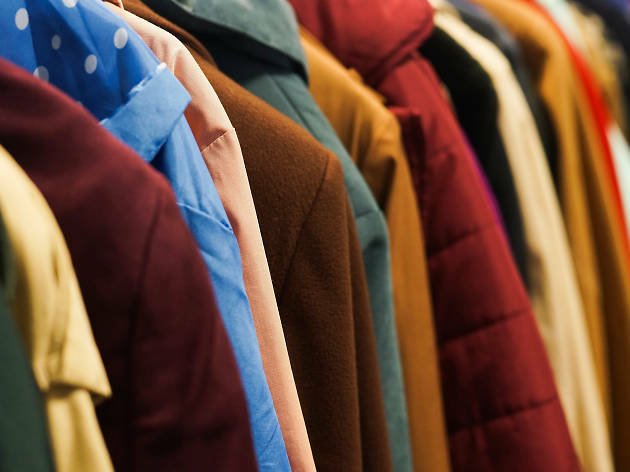 But that doesn’t mean you can’t indulge your fashion whims; Traid does style from across the decades, regular seasonal re-stocks and amazing end-of-season sales. Enthusiastic staff are always on hand to validate your outfit choice. Best for Halloween, Pride, Glastonbury and every other event on your Instagram calendar. Sometimes size does matter, and this Oxfam emporium is so big that the odds of finding treasure are ever in your favour. 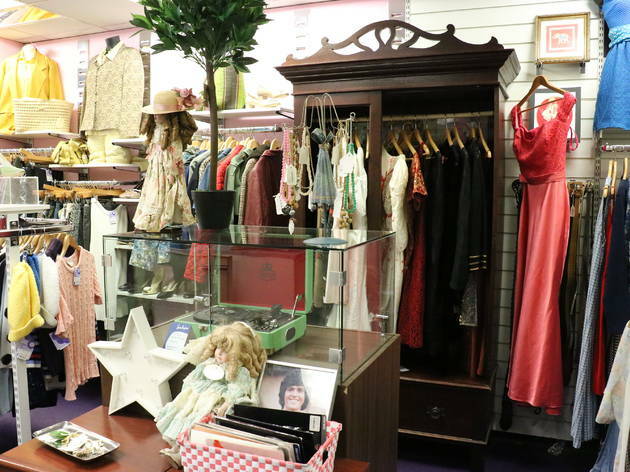 As you’d expect from its hipster postcode, the stock is more fancy dress than fancy dresses, but it’s never dull – staff sometimes have to turn away donations because they receive too many to sift through. Go with a broad mind, open arms and enough time for a fitting-room fashion show. Best for Heritage tweed and old-world labels, for your next invite to a country house weekend. 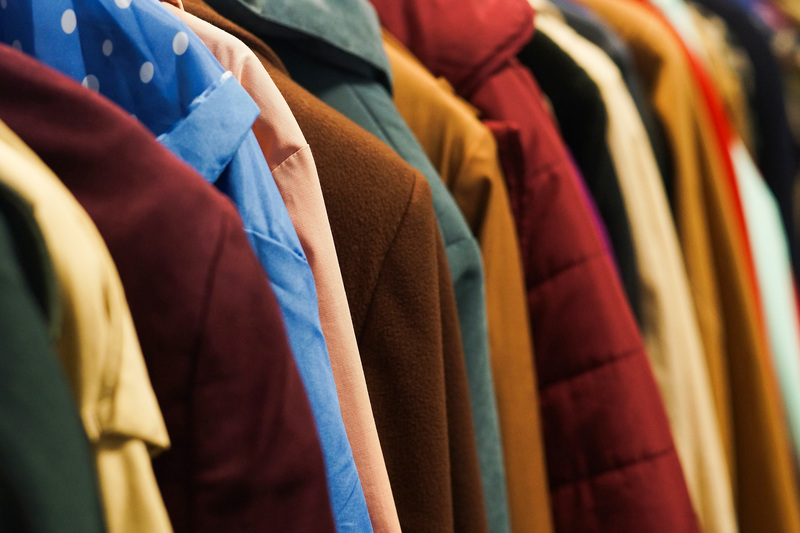 The first rule of vintage shopping: go where the rich pensioners are. Rumour has it this Red Cross shop regularly takes delivery from local house clearances, which makes it the closest most of us will get to haute couture. Prices might be steep by secondhand standards (staff know their Prada from their Primarni), but they’re still a snip in Chelsea terms. Besides, it’s for charidee, dahling. Best for Vinyl as well as coats and jackets. There’s almost always a fabulous faux fur on the rail. With retro threads to compete with the best of the market’s offerings, this friendly Parkway shop is a blessed escape from the chaos of Camden High Street. 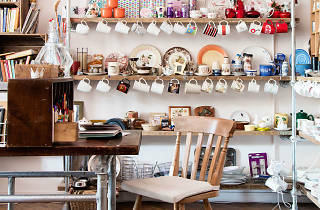 Stock caters for the neighbourhood, with retro and vintage pieces better preserved than many of the rock ’n’ roll clientele – but there are lots of squeaky-clean high-street buys too. Open until 7pm Monday-Saturday, it’s provided many a post-work-pre-gig outfit change. Drop by for a peruse of their musical instrument and record collection too. Best for Kitsch crockery your gran would love, and party frocks to match. Positive vibes abound at this much-loved East End thrift store which raises funds for the London Buddhist Centre. The staff and volunteers are cheery, the locals are loyal and the stock is as groovy and wide-ranging as you’d expect. Prices are always low but there’s also a half-price sale twice a year – the perfect chance to put your mindful shopping skills to the test.